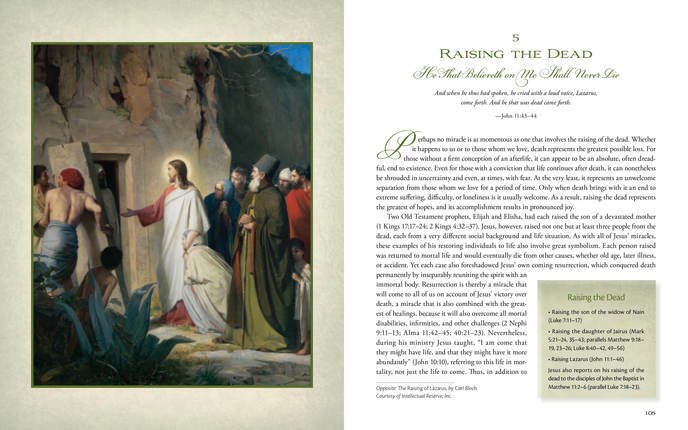 I've been reading a new book by Eric D. Huntsman called The Miracles of Jesus, published by Deseret Book. It's another gorgeous full-colour, hardcover book laid out with tons of beautiful visuals including artwork, maps, charts, and photographs. Huntsman is an associate professor of ancient scripture at Brigham Young University. 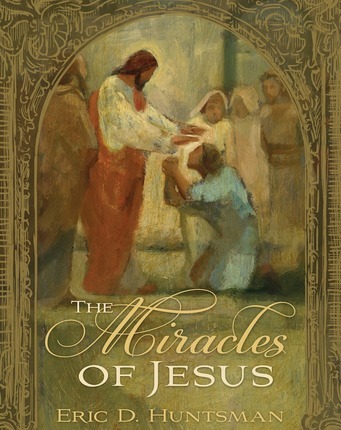 He organizes this study of Jesus' miracles into 5 categories: Power over the Elements, Healing the Sick, Casting Out Devils, Raising the Dead, and Causing the Blind to See and the Deaf to Hear. 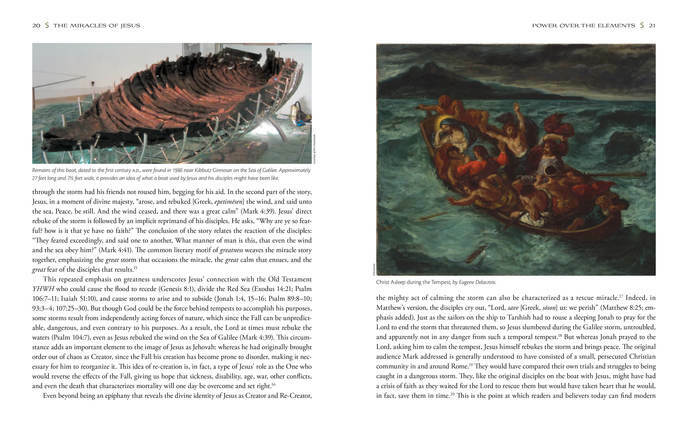 Each section outlines numerous miracles and refers to the record of those events recorded in scripture. The stories of these miracles are explained clearly and in light of historical background and situations. Then they are applied to us, to our present day and the difficulties we face. It's easier to see how we can compare these experiences of the past to the situations and challenges we face and those around us are facing currently. "What manner of man, then is this Jesus?... His great acts of healing remind us that he came to heal our hearts and souls as well as our physical bodies, forgiving our sins and strengthening us to do good and enabling us to endure in faith... Restoring sight and hearing reflects Jesus' ability to open our spiritual eyes and ears, helping us learn to recognize truth, especially the truth about himself and his mission... raising the dead points our minds forward to the universal resurrection when Christ will fully and completely defeat death and erase the sorrow of loss..."
That quote is only a small part of the conclusions Huntsman makes in his book, but it gives you an idea of the aim of the book. There are also a couple of appendixes included. One shares a personal experience from the author and one is a survey of the biblical scholarship behind the book. 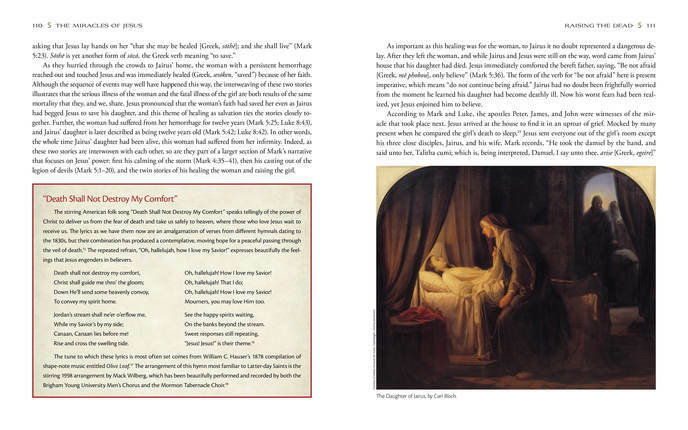 It includes lists of every miracle story, summary, and report in the Gospels, the different approaches each of the four Gospels takes to the miracles, and reviews how scholars evaluate the stories historically. Reading a book like this always opens my eyes to how much is to be gained from studying the scriptures more thoroughly, spending more time reading, studying, and really pondering the scriptures. I always enjoy doing so, but it is easy to get out of the habit of doing it. I'm grateful for books like this that inspire me to want to learn more! Disclosure: A copy of the book was provided for review purposes. All opinions shared are my own.